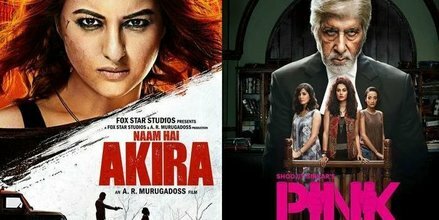 Pink and Akira, two recent Bollywood hit films, depict an ugly reality of the police in India. It seems much has not changed in the country for the last ten years since the Supreme Court in Prakash Singh case ordered in September 2006 that the police must be made functionally autonomous and accountable by enacting new police laws. After 1947, Indian police have continued to be governed by the police laws framed in 1861 retaining its colonial character. Intriguingly, after gaining independence while democratic laws have been legislated, their instrument of implementation- the police –have continued to be authoritarian. This conflict plays out in a citizen’s life every day which is convincingly presented in Pink and Akira. In Pink, police hound and frame three young women under false charge of prostitution at the behest of a political master. The case is illegally registered; backdating FIR and women are arrested without following service rules. In the film, police act under the influence of the politician and his henchmen flouting the law, a routine event in the country, cynically accepted without much indignation. Political interference in policing is rampant in the country. Whether it is intimidating and arresting political opponents, firing on protesting citizens, fixing human rights activists or being inactive while mob kill selective ethnic or religious minority, police are ready to crawl where they are asked to bend by the politicians. Prakash Singh, a former Director General of police, highlighted this before the Supreme Court which after deliberating over plethora of documentary evidence for ten years expressed its disappointment at the situation and ordered the centre and the state governments to professionalise the police service from a rotten politicised force. A politicised police is dangerous for a democratic society. The political patronage and interference in police promote culture of impunity and encounter killings, ghastly portrayed in Akira. In the film police rob huge cash from an injured person and kill him. They also execute a few potential witnesses in cold blood and pass them off as ‘encounters’. The film’s encounter scene has an uncanny resemblance with the recent killing of eight SIMI ‘under-trial’ activists in Bhopal where senior police officials are heard on phone instructing police on ground to ‘eliminate’ the escapee (Hindustan Times, 4 November 2016). Encounter killings in India are endemic. In a press statement, National Human Rights Commission said in October 2016 that there were 206 cases of encounter killings in last twelve months. The majority of these deaths are questionable as reports of human rights organisations and independent citizens’ fact finding reports suggest. Needless to say, culprits go unpunished. Hashimpura massacre is one of the few examples. Indian police are plagued with serious structural malaise. An average policeman does not know his Indian Penal Code, Code of Criminal Procedure and Indian Evidence Act well. He does not get chance to develop and refresh his professional skills in service. He learns hands on and makes terrible mistakes that have serious repercussions on justice delivery in the society. The conviction rate, according to National Crime Research Bureau, was 45.1 per cent in the country in 2014, while the conviction rate in crime against women is merely 21.3 per cent. In other words, in 55 per cent cases either people were wrongly framed or they got away without punishment after committing a crime, thereby adding injustice in already unjust society. What is the use of having strict laws on crime against women when nationwide about 78 per cent accused get away with a crime? Indian police is in such a pathetic state because there is no investment in basic infrastructure and human resource in policing. The police continue to lack basic amenities and support for performing their duties. For example, a right to information application revealed that 23 police stations in Jammu and Kashmir lack drinking water facility while 14 are without a toilet (Indian Express, 14 October). Average police personnel is over worked and lowly paid. Consequently, he becomes like the havaldar of Akira who counts on his share of booty to solemnise his daughter’s marriage. The Supreme Court judgment tried to address some of these structural issues in policing in the country. However, 17 states that have passed new laws have diluted them considerably. The centre has also not implemented the Supreme Court’s order in union territories. If it had, Delhi police would not be able to act in such a partisan manner, without facing tough accountability at different levels. Clearly, the establishment- the political elite- does not have an interest in reforming the police because control over it suits them. But their convenience is against the interest of the society. While common man experiences persecution and legal injustice, our police are getting dehumanised and brutalised. The police leadership must impress upon the political leadership that they can neither have job satisfaction, nor pride in service if they keep dragging resource starved mass of demoralised men who are setup to indulge in serious service aberrations. Home ministry 2016-17 budget is merely 30.2 per cent of defence ministry allocation while they have more or less same number of men to cater to. Even out of these 77,923 crores of home ministry budget, allocation for police modernization is paltry 11 percent. The police leadership must insist on greater resources for the internal security services from the political leadership to inject some oxygen into a listless body that the Indian police have become. The leadership of social movements may also consider adding the issue of changes in policing structures in their demand for legal justice beside social and economic justice which is a major need, right and demand of the poor, Dalits and minorities across the country. They should impress upon parties like AAP that it should commit to systemic changes in policing in the country rather than political control over it. A start can be made with coming elections in Punjab, where the party has a strong support. Pink and Akira present to us a distressing reality of policing in our society. It depends on us whether we continue to live with it or endeavour to change it. For a young nation on the path of so many changes, it is not a big ask.